I love Amazon…I mean, don’t we all?! Earlier this year, I started using the Amazon Affiliate program and also have my own storefront where I keep an ongoing list of my favorite items, also connected to the affiliate program. What’s an Amazon Affiliate? Well, you get accepted into the program and you can share links to your favorite products with others. When someone purchases the item from one of your links, you get a small monetary reward because you shared the item personally. It’s a cool program, because I buy a TON from Amazon as it is and sharing products is something I love to do. I haven’t made a ton of money from it, but I’m not super active with it. I did, however, realize just this last week that I have access to promo codes from various sellers throughout the Amazon site and I thought it would be fun to find some great deals for my readers! Baby Closet Dividers – Set Of 7 – Save 50.0% with promo code 50XIOIZC, through 10/27 while supplies last. – I saw these adorable closet size dividers for baby girls and fell in love! They have the cutest cactus print on them and I definitely need to pick some up! Lansinoh Breastmilk Storage Bags – 100 ct – Save 20.0% with promo code 20STOREPUMP, through 11/13 while supplies last. – I’m totally thinking ahead here, but I know I’ll be in need of these when baby arrives! 20% off is a great deal on these! TotLogic Bubble Bath, Original Scent, 8oz – Save 15.0% with promo code 15TOTSOCIAL, through 11/9 while supplies last. – I have a couple of favorites for kid’s body wash, but I thought this was a great find! All TotLogic formulations do not contain sulfates or phthalates and are Sensitive Skin Safe, Never Tested on Animals, Vegan, and Lovingly Made in the U.S.A. Perfect for my allergy/eczema kids and I need to grab some to try! TotLogic Detangler and Leave In Conditioner Spray for Kids – Lavender Bliss, 8 oz – Save 15.0% with promo code 15TOTSOCIAL, through 11/9 while supplies last. Detangle, Nourish, Protect – Rich in Antioxidants & Botanicals – No Parabens, No Phthalates, No Sulfates…same as above, great option for my allergy kids! Lark’s hair is very fine and very prone to tangles due to her hair texture. I use a leave-in after bath, but this would be a better option for her! Can’t wait to try it! Pom Poms Fringe Cotton Duvet Cover – Save 30.0% with promo code 30WWO4JP, through 11/3 while supplies last. – Ok, so I’ve been wanting to update our room for ages and how freaking cute is this duvet with pom pom trim?! Can I talk my husband into it?! 100% Cotton and you seriously cannot beat the price, especially with the discount! Pom Poms Fringe Cotton Pillow Cases – Save 30.0% with promo code 30VNNEO9, through 11/3 while supplies last. – Oh just the matching cute pillow cases to the duvet! EJOY Waxed Canvas Market Tote – Save 20.0% with promo code 20YOURBAG, through 10/31 while supplies last. – I’m really bad about taking reusable bags to the store with me, but I’m always kicking myself when I roll up to ALDI without a bag! I LOVE this waxed canvas tote! Durable, water-resistant and so cute! It would work great for the beach too! OrganizerLogic Rope Storage Baskets – LargeSave 15.0% with promo code 15AXQR9R, through 11/10 while supplies last. – I’ve been obsessed with these baskets for a long time. I keep telling myself I’m going to make my own, but we know how that goes…I need to pick some up…because I’m obviously never going to start or finish that project! Maker Overnight Oats, Banana & Coffee Organic – Save 10.0% with promo code 10MAKEROATS, through 12/29 while supplies last. – No Sugar Added, 5 Single-Serve Pouches…I had the opportunity to collaborate with Maker Oats earlier this year and they sent me a bunch of product to try and these overnight oats are SO good! And good for you with no added junk! SQUEAKY POPS Chickpea Chips, Apple Cinnamon – Save 50.0% with promo code 50SQUEAKYFF, through 10/31 while supplies last. – Non-GMO, Gluten Free, Healthy Snacks…you know me, always on the lookout for healthy, allergy-friendly snacks and these just sound so good with an added protein boost. Miss Jones Baking Organic Cake Mix, Chocolate (Pack of 3) – Save 20.0% with promo code 20CAKES, through 11/30 while supplies last. – Baking can be really difficult when dealing with food allergies. I’ve used the Miss Jones cookie mixes with my kids before (they’re really good) and these cake mixes would be great to keep on hand for special occasions! fun pro Kick Scooter Micro 3 Wheel – Save 30.0% with promo code 30YMMIV4, through 10/31 while supplies last. – Another Santa item I need to add to the list. Arlo has been asking for a scooter and I love these colorful ones with light up wheels! I think the kids would love them too! It can grow with the kids and the three wheel design makes them a bit more stable. Mini Drones for Kids and Adults – Save 25.0% with promo code 25DRONEMINI, through 11/17 while supplies last. – You may have seen this little guy in my instagram feed…he was awesome! A drone with no remote that you can guide just with your hands. Lark and Arlo were obsessed! That is, until we launched it into oblivion in our wooded yard, not expecting it to fly that high! User error, the thing is otherwise awesome! When I saw a 25% off promo, I had to share because it’s so fun, I just don’t recommend it in wooded areas! I need to buy a replacement for the kids. OrganizerLogic Canvas Toy Storage Bin – Save 15.0% with promo code 155EWZQF, through 11/10 while supplies last. – <y kids are in desperate need of toy storage and I love these canvas bins! They come in either blue/green letters or pink/purple. Santa may have to add these to his shopping list! Welp, those are my fun Amazon deals for October. Hopefully I can make this a regular feature on my blog. It was fun to search through and see what treasures I could find. A typical weekend for us will generally start slow. We wake up, we hang out on the couch in our pj’s, play for a bit, maybe watch a movie. After a busy week of work and daycare, we are all eager to relax a bit. We love our ‘comfy’ clothes, like the many Carter’s pj sets my kids tend to accumulate because I just love them so much! Our slow start will usually transition into afternoon adventures. They are often spur-of-the-moment, spontaneous and the type of adventure where anything can happen! We like to head out together, find new things to see and do and have fun as a family. Sometimes we hike, sometimes we head to the beach and sometimes we just hang around town. Recently we checked out a local shop that features locally made pottery items and home décor. It’s such an amazing, colorful and whimsical shop and the kids had a blast! My husband actually has a fine art degree in ceramics and pottery, so it was nice to kind of see him in his element. The kids played, explored the pottery studio upstairs, and looked for fun treasures around the shop’s exterior. Lark was, of course, obsessed with all of the items for birds. Her name serves her well, apparently, because she loves anything for birds. Arlo was mostly just overwhelmed by all of it, but loved all of the gazing balls they had scattered about. Taking these two into the store was a bit anxiety-inducing, as 99% of the items were breakable. But we managed without incident! 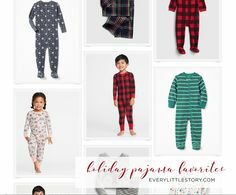 With busy weeks and equally busy weekends, my kids need clothes that comfortable, durable (oh boy do we ever need durable) and most importantly, affordable while not sacrificing style. I turn to Carter’s and OshKosh quite frequently for my kids, not just for the reasons here, but also because they fit my kids so well! I have two kids that are both on the small end of the charts and these brands have always fit my kids so well. I also love how many options there are and they’re always current with the latest styles. I’m sort of that mom who likes to have my kids in matching outfits, if at all possible, and I’m sure my kids will start to protest that soon enough. But until then, I’ll keep grabbing the cute outfits from Carter’s and OshKosh that I can mix and match! Carter’s, OshKosh and SkipHop brands have made shopping easier with their new and improved Carter’s Rewarding Moments program. It’s simple and easy to sign up and when you spend $100, you earn $10! I know my rewards will stack up quick, with as much as I shop these brands! You also get exclusive, member-only offers and services, “Endless Aisle” shipping (free shipping on items unavailable in the store if you have an associate order for you), presale access and member-only promotions (I am a sucker for presales), easy returns, special bonus point offers and even a birthday gift for your child. Obviously I love these brands and that’s why I wanted to take a moment to tell you about their new rewards program. Head on over and sign up today! Keep your kids clothed in cute stuff without breaking the bank and even get a few things in return…that’s my kind of shopping! Sago Mini Fairy Tales – Fly around with a little kitten fairy and discover fun, little surprises in the forest. Lark’s favorite is the troll under the bridge! Sago Mini Babies – Dress them, play with them, feed them and even change their diapers! Sago Mini Music Box – You move about a scene as you tap your finger it adds little details to the scene that also function as a musical note creating songs like Jingle Bells and Twinkle, Twinkle Little Star. Toca Lab: Elements – The science nerd in me loves this one! You have sort of a periodic table of ‘elements’ and you have to find right combinations of elements and reactions to solve them. It’s a new spin on matching games and we love it! Toca Robot Lab – Create your robot using random pieces so each one is unique! Then fly them through a maze with obstacles that require problem solving to get through. Toca Boo – This one is hilarious! You travel through rooms and turn lights on and off to scare other characters, in a funny and cute way. Great for Halloween! Toca Band – This one is so creative! I love anything musical and this one is so good. You get to choose from different sound effects, some instruments, some singing like opera and even beatboxing, to build your band. Every time it’s a different melody and is so interactive. Toca Hair Salon – We laugh so much with this one. Choose a fun character and style their hair! Cut it, wash it, add a bow…the possibilities are endless! Our fave is the lion and his fancy mane. We like to stick all the bows in it. Toca Life: City – All of the Toca ones like this are great (I think we have Vacation too). It’s a miniature city with the most adorable little characters! Shop for new outfits at the clothing store, step into the local café for a bit to eat, turn lights on and off, move around furniture…so much fun! Bubl Apps – I won’t itemize these ones individually, since they’re fairly similar, but we have Bubl Draw, Bubl Gelato, Bubl ABC and Bubl Tap. They’re great sensory apps with different shapes, sounds and colors. From Bubl “our apps help children to feel the connection between color, sound and form.” So well made and again, the artwork is these makes me giddy! These apps are available in a bundle. Busy Shapes – This one is great and can actually get quite difficult! But it’s so fun to watch Lark figure out the puzzles and be proud of herself. You have a gameboard of sorts with a specific shape and you have to find the hole it fits into, similar to a shape sorter, but it gets harder where you have to figure out, based on elements on the gameboard, how to change the shape’s color or shape to get it to fit into the hole. Peppa Pig: Holiday – Is anyone else’s child obsessed child with Peppa Pig?! Actually, I love Peppa Pig with their British accents. This one is fun because Peppa and her family are on vacation and you can play all sorts of mini games, like a counting one where you have to count the number of suitcases they need to take with them. Our two favorite Alphabet/Number apps are LetterSchool (both letters and numbers) and Interactive Alphabet ABC’s. Both are apps where you learn the letters/numbers by tracing and hearing the sounds. Along the same line is another favorite, Endless Reader. Also has letter recognition and sounds, but goes a step further where you place the letters into a word and the word into a sentence. It’s accompanied by fun little monsters to animate the sentence. Arlo sort of interacts with all of them, but he’s still not entirely understanding of what’s going on. His favorites are Old McDonald by Duck Duck Moose and Toca Train. Old McDonald is fun with several scenes that have interactive elements that are animated with animal sounds, etc. It was a favorite of Lark’s as a younger toddler as well. You can even play the song in other languages, although, I’ve turned the music off at times because it can start to grate on your nerves, if you get my drift! Toca Train is great as well and fairly simple with a little train that you can navigate through a fun, little scene. What are some of your favorite apps for toddlers and kids?